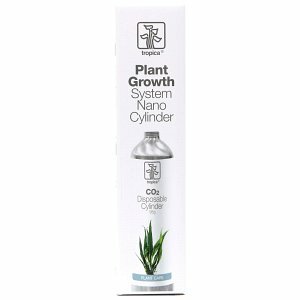 Suitable CO2 injecting equipment is crucial when it comes to providing your aquatic plants with their main nutrient ? CO2. High-quality pressure regulators guarantee a safe and constant CO2 supply. A night shut-off, usually consisting of a solenoid valve, shuts off CO2 supply during the night, as the plants do not use CO2 when it is dark. Dual-compartment pressure regulators are especially recommendable for larger CO2 cylinders. They keep the working pressure constant until the cylinder is totally empty so that you won't experience any unpleasant surprises when the fluid CO2 inside the cylinder turns to gas, which increases the working pressure of standard pressure regulators considerably. This pressure increase sends more CO2 into your tank ? possibly too much for your tank inhabitants. Dual-compartment pressure regulators reliably prevent this from happening. 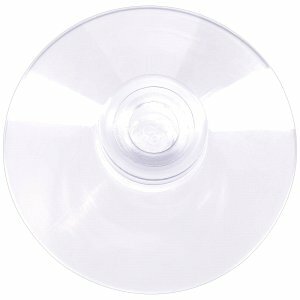 Some CO2 supplying methods like e.g. by inline atomiser require an especially high working pressure of 2 bar in order to work correctly. 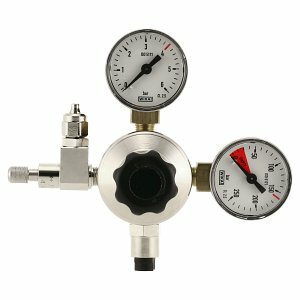 We make absolutely sure that the pressure regulators we offer in our shop are compatible with the CO2 injecting devices in our product range. Our CO2 category covers the technical components of a reusable CO2 system. For this purpose, we offer suitable pressure reducers, needle valves, night shut-offs and check valves in our webshop. What parts make up a CO2 system, is described in an article in our aquascaping Wiki in more detail. In a CO2 system, the reducer is connected directly to the CO2 bottle. 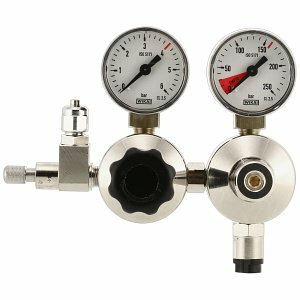 Two pressure gauges show the cylinder pressure as well as the operating pressure (usually in bar). The function of these components is to reduce the high pressure in the bottle (usually over 50 bar) to a much lower range (1 to 2 bar) in order to be able to introduce the gas into the aquarium in very precise and small steps. 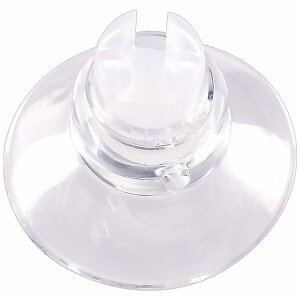 The working pressure can be finely adjusted with a screw regulator on the pressure reducer. 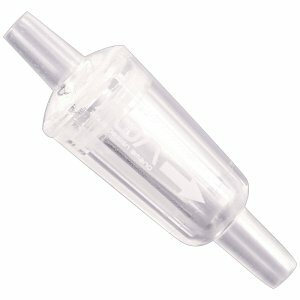 Dosing is taken care of by the needle valve, which regulates the amount of escaping gas very sensitively. Both pressure reducers and needle valves from different manufacturers and in different price categories are available as spare parts from our Aquasabi Shop. We would particularly like to mention the double stage pressure reducer from Oxyturbo. Due to its double chamber, the pressure reducer always keeps the working pressure at a constant level, even with a gradually emptying CO2 bottle. 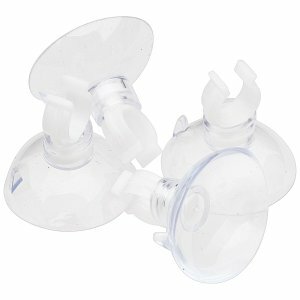 With a regular pressure reducer, the following will happen: the bottle's content is depleting, which causes the pressure inside the bottle to sink. A regular pressure reducer will now try to compensate for this loss by gradually increasing the working pressure. This often results in a much higher CO2 addition. Since this can potentially endanger the animals, the aquarium owner needs to manually reduce the working pressure during this time until the bottle is completely emptied. Not so with a double stage pressure reducer, due to its construction, the working pressure remains constant until the bottle is completely empty. The night shut-off is another vital part of a CO2 system. This is a solenoid valve, which is often installed either directly onto the pressure reducer or into the hoseline immediately after the needle valve in the system. The solenoid valve has a shockproof plug and can be activated and deactivated by a timer. In aquaristics, CO2 fertilization in sync with the lighting phase of an aquarium has established itself. Check valves ensure that the circulation of a CO 2 system is protected against returning water from the aquarium. 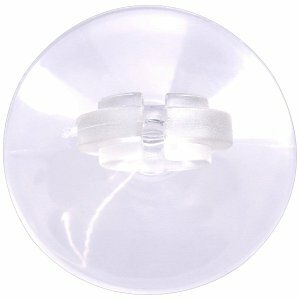 These are available in different versions made of metal, plastic or glass. You want to buy an all in one solution? No problem, we offer complete packages from the Hiwi brand of products, which already have the night shut-off and check valve installed onto the pressure reducer. Please note: in this model, all components are additionally glued together to ensure absolute tightness. For inline atomizers and similar CO2 diffusers, a higher working pressure of 1.5 to 2 bar is required. Please make sure, that all components such as pressure reducer and check valve are designed for this high pressure before making a purchase.